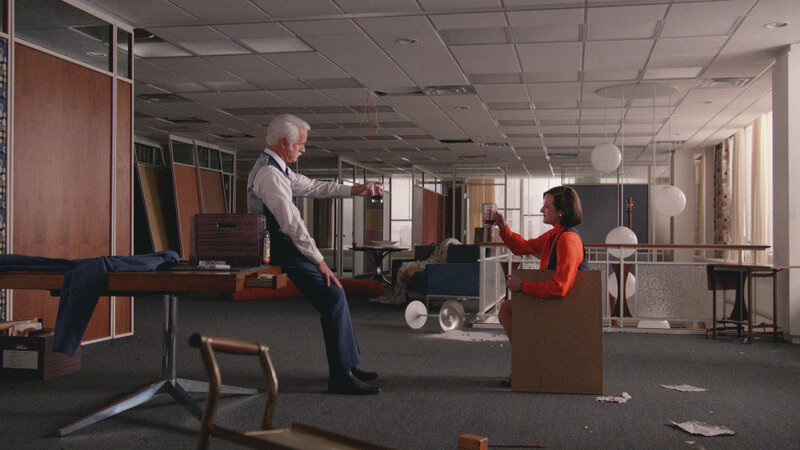 Three years ago I wrote of my fascination with Mad Men. Tomorrow the series comes to an end. It’s been a masterpiece of television, a set piece of sharp cultural analysis. Last week saw what must be the conclusion of Pete’s story, a surprise redemption that sees him reconciled with his wife Trudy and moving to Wichita. There won’t be room for any more on them tomorrow, with Peggy, Roger and Don to tie up. It’s looks like Roger is settled too, with his surprisingly ‘appropriately aged’ woman, but there could be a twist yet. Don, the supposed main character, himself seem to be less running away than running home – shedding his mask, waking to reality. I wonder if he’s heading back to be a true father? He even learnt that he’s ‘good with his hands’ – practical skills, as opposed to merely creating advertising myths. Perhaps his redemption is found in leaving the myths of marketing behind, and surrendering himself to the ordinary, the domestic – the responsibilities of the real. In one sense, though, Peggy has actually been the true main character. The show began with her starting her new job at the agency, whereas all the other character were already mid-stream. 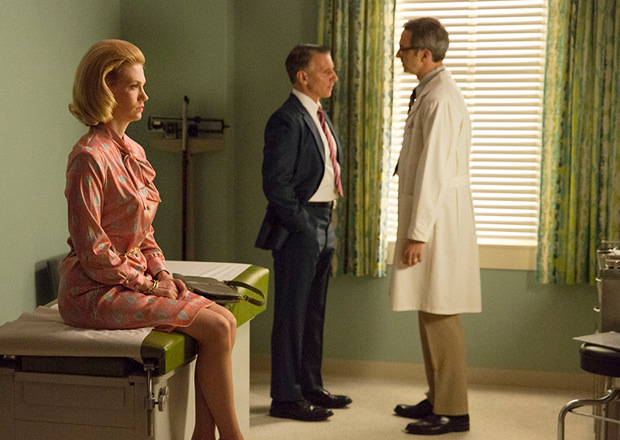 But what if a whole show entitled ‘Mad Men’ was actually about women? A defining comment of that first episode was Joan’s advice to Peggy on her first day to put “a bag over your head”. And witness, for example, last week where Betty’s doctor explained her prognosis to her husband, whilst she sat separately nearby. 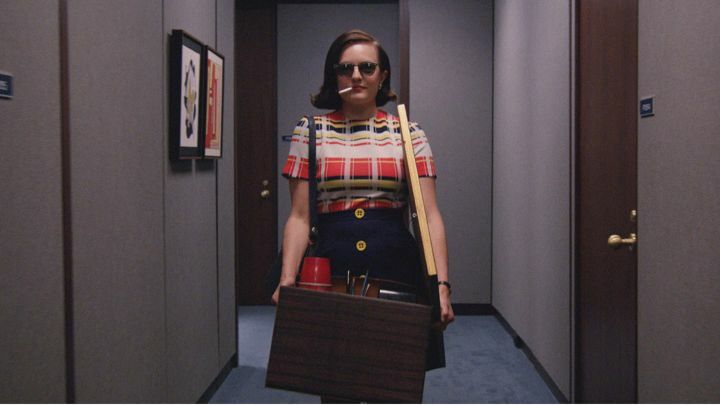 Maybe the predictably uniform mad men have just been props for the showcase of the colourful variety of women struggling to be heard in the bawdy workplace and controlled domesticity. The myths of modern manhood have made the men blind to many things, but especially to women. Here, men always look beyond women, past them, through them. Even when they look at them, it’s from the tyrannical distance of objectification. They never really see. Madison Avenue, and the myths it has nurtured, cultivates a modern life blinded to reality. This is what makes Pete’s new vision so surprising, and beautiful. He sits before Trudy, his eyes as wide as pancakes. 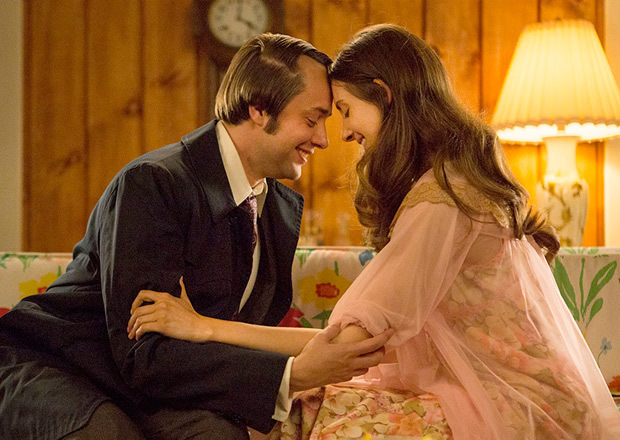 Trudy begins by saying “Whatever’s happening in your eyes right now we both know things can’t be undone”. But Pete declares his love, and then adds “Say yes with your voice, not just with your eyes”. Mostly, though, the women here suffocate: Megan is paid off, Joan leaves, Betty is going to die, and now we await the fate of Peggy – the lone reed. Last week, her invisibility was highlighted when the new agency forgot to allocate her an office in the new building. She sat with her boxes in the old building until the phone and the lights turned off, a token female prop to keep Roger company whilst he drank. So will this determined, independent woman be the true hero of the finale?